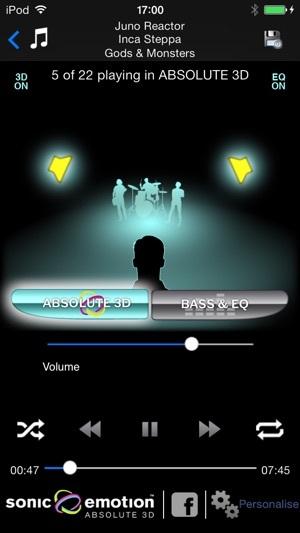 Headquake® Pro by Sonic Emotion® - the world’s premier sound enhancement app ever built for iOS. 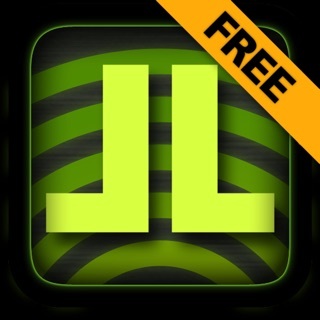 Headquake Pro is a free, fun, and simple way to create and share what you’re listening to via Facebook on your iPhone or iOS device. Compatible with i0S5 and above. 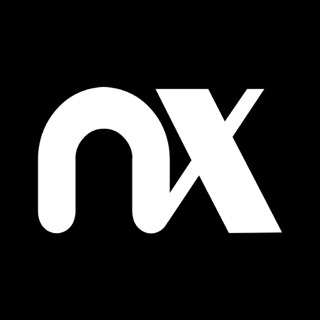 Listen to your iTunes music library in a never before heard quality, that is personalized to your favorite type of headphones. Create your own sound stage through easy to use graphics or pick from one of the presets to personalize your listening experience, no matter where you are. Transform everyday stereo content into works of art through Absolute 3D. Plus, you’ll be able to share what you are listening to with your friends and family via Facebook. Headquake Pro is plug and play. 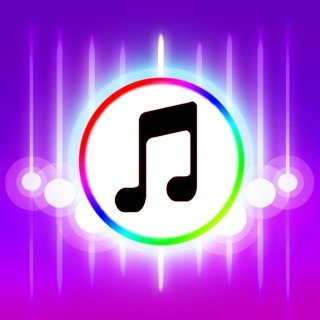 The app will automatically sync your iTunes/iPod music so all you need to do is press play and enjoy. Headquake Pro is available with unlimited use, free of charge with an in-app upgrade benefit package for $1.99 or equivalent. The benefit package frees you from advertising and allows you to save your sound creations for each individual song. Player Integration Graphics: You’ll have access to an enhanced player that offers better visual player controls with a fun sliding positional sound stage and ambient speakers to maximize your out-of-head 3D listening experience. 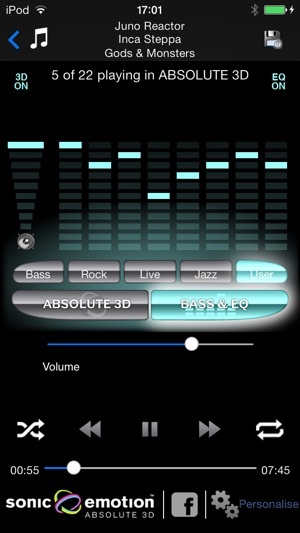 Bass & EQ: A fully customizable bass enhancer and multi-band graphical equalizer with audio control screen, enabling you to further adjust your listening preferences with a selection of presets (Bass, Rock, Live and Jazz). Save Settings: Allows you to save each of your audio creations to the individual song through the in-app purchase, upgrade benefits package. Instant sharing of the song that you are listening to via Facebook. Additional Headphone Filters are available via an in-app purchase: Beats by Dre, UrbanEars, Beyerdynamic, Ferrari, Medion, B & W, Sennheiser and Sony. Designed for the iPhone 4, 4s, 5 and 5s. Also, functions on all iPads. Absolute 3D Sound: Be amazed with the ultimate 3D sound experience. Headquake Pro easily converts flat narrow sounds to an enormous yet perfectly balanced 3D Sound experience surrounding your head - the way sounds should be heard. NOTE: The Headquake Pro experience is meant to be used with your headphones. Content Selection: Your playable content will be optimized with your synced playlists, songs, artists, and albums just as seen in your iPod music player. 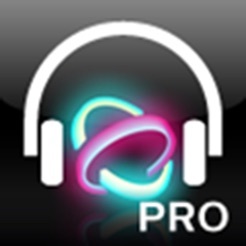 Seamless Integration: Headquake Pro works directly with your iTunes/iPod music library. You just have to download and press play to enjoy! Personalized Headphones: We know your headphones are important to you. 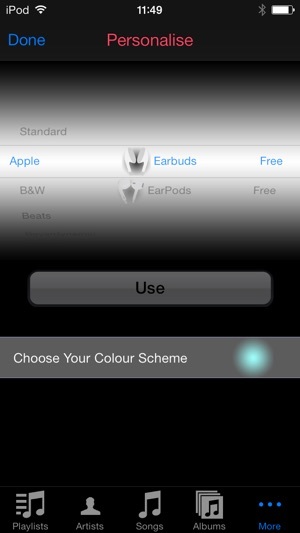 We let you select your headphone type and the sound quality will be configured to your selection! Branded headphones including: Beats by Dre, UrbanEars, Beyerdynamic, Ferrari, Medion, B & W, Sennheiser and Sony are available with an in-app purchase. Recommended and Designed for iPhone 4, 4S,5 and5s. Functions on all iPads, iPod Touch Fourth & Fifth Generation. Before the recent update it had access to the eq. Now I can't change anything on a song except the ambiance and position. Supposedly in the personalize section you can change the look to the classic. There are no options to do that. It was cool now a waste of money. One star! This developer apparently doesn't care about this app! I purchased this the first part of January. Problems, plus you can't upgrade. I contacted the developer and they assured me that they would have it fixed sometime in February. It's now the end of March and nothing! It seems they enjoy creating new apps, but don't give two hoots about making the ones right that you've already purchased! SHAME ON THEM!! !